The workplace has changed dramatically over the last few years. The economic meltdown has forced companies in all industries to evaluate their procedures, examine their workforce, and review business models. During this period many organizations have been forced to make difficult decisions regarding cost cutting and layoffs. Managers in the workplace have a unique role to play with the survival and growth of businesses that have been affected by the latest economic downturn. The workforce has shrunk due to layoffs and financial instability in the economy since 2008. The resulting downsizing has increased expectations for the survivors of layoffs and placed enormous pressure on managers to increase productivity while managing smaller groups of employees. This period of instability has also increased job insecurity for workers which in many cases lead to increased stress and decreased morale. These factors are particularly challenging for managers in blue collar environments such as manufacturing, construction, factory and maintenance and operations. Knowing how to manage employees effectively has become more and more difficult as managers are having to work with less and produce more. The traditional approach in blue collar working environments is the authoritarian approach, where a central manager or management team is responsible for all decision making with little input from subordinates. This is a method that has been historically used in many companies. It is a non-inclusive approach in which what management says goes. Leaders who use this approach do not typically take into consideration the thoughts and attitudes of workers. Instead, every decision is driven to maximize productivity. Think the U.S. Military. The participatory management style has shown to increase worker productivity and motivation. With higher levels of productivity, companies realize a higher profit for the company. The participatory approach includes workers in decision-making processes of a company. A manager may facilitate this approach by asking employees what measurable objectives are appropriate for meeting company goals. Examples of this approach can mean management soliciting ideas for improvement of a manufacturing process from line workers, or troubleshooting problems that lead to the development of new equipment. The ability to build rapport with employees. Fulfilling their promises to both their employers and staff. 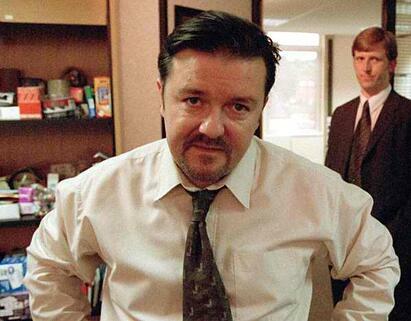 Are You A David Brent Manager? Effective managers are crucial to the future of small and mid-sized businesses. Excellent leaders on shop floors act as the go-between senior leadership and the employees whose productivity fuels businesses. It is vital that today’s managers understand the vision of their organizations and are able to effectively communicate it and include their workers to increase their company’s long term viability. It is crucial for managers to develop the traits of strong and effective leaders and select an approach that compliments their workforce. The first step is simple: take a moment to stop and listen. Listen to your employers, listen to your employees and evaluate whether your team is motivated and productive. What current challenges are you facing right now managing your workforce?